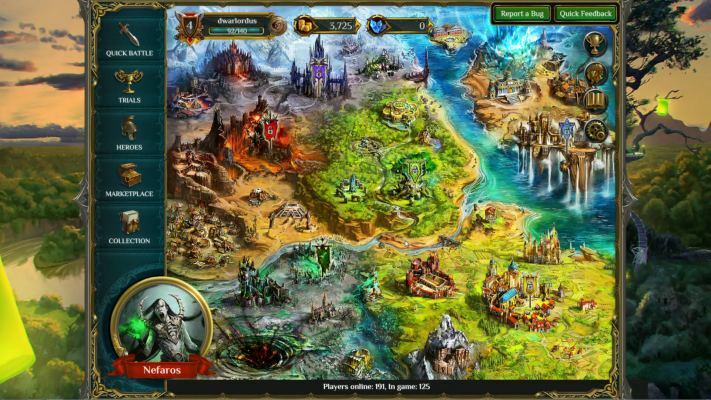 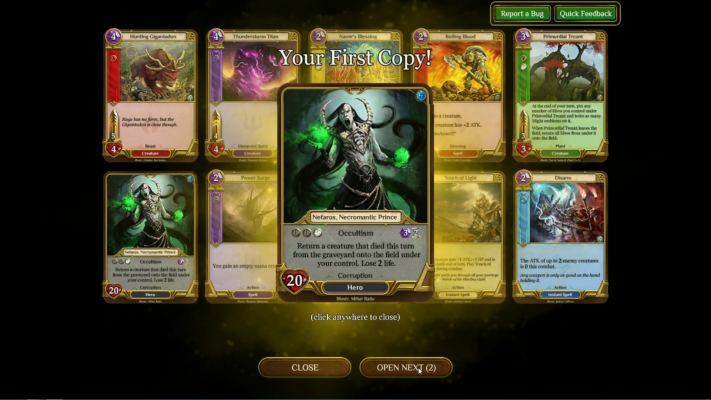 Spellweaver is a Free to play Digital, Online Trading Card Game [TCG] set in a fantasy world. 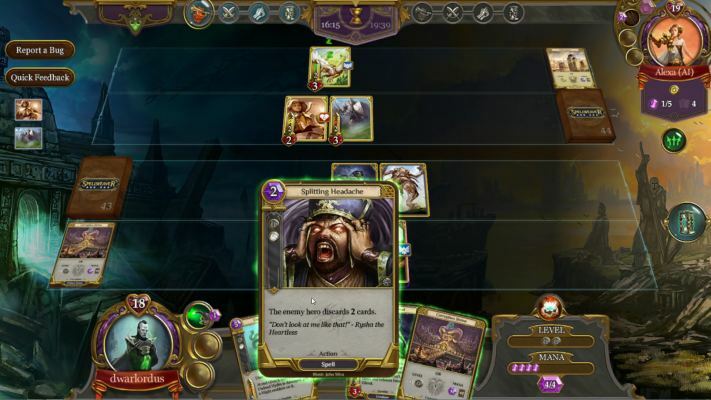 Spellweaver is a classic style trading card game set in a fantasy world where various faction's spellweavers battle for supremacy. 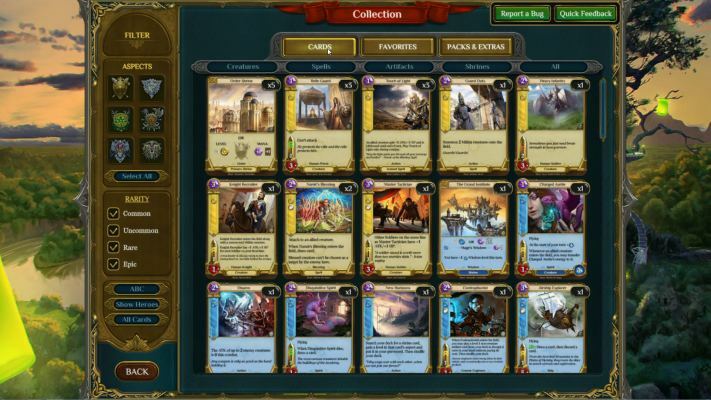 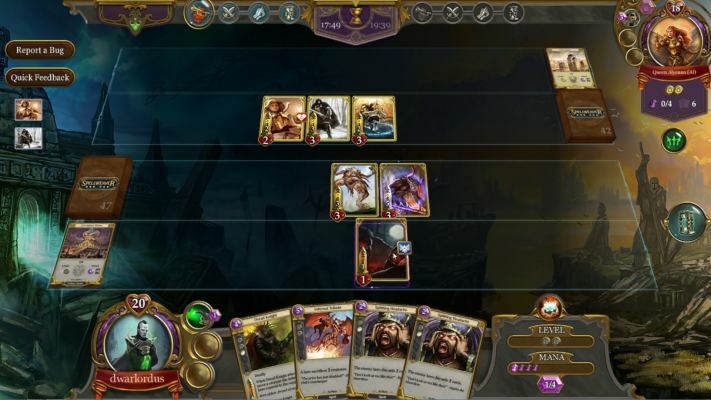 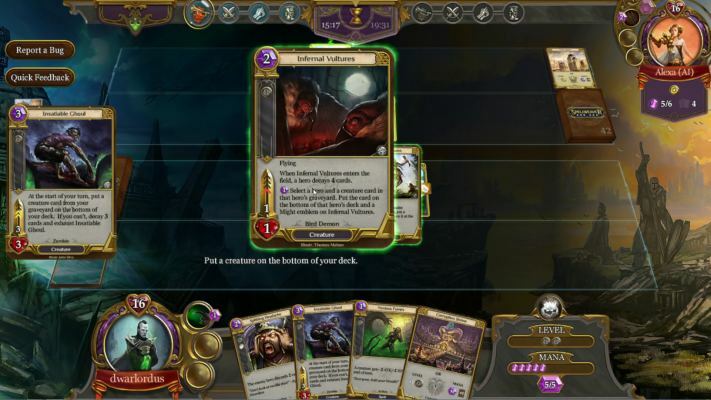 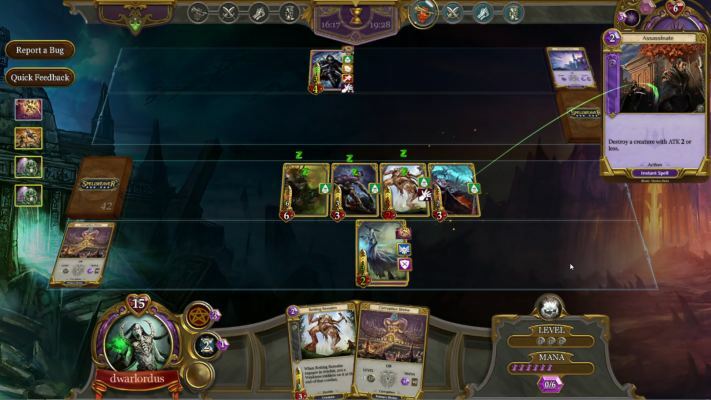 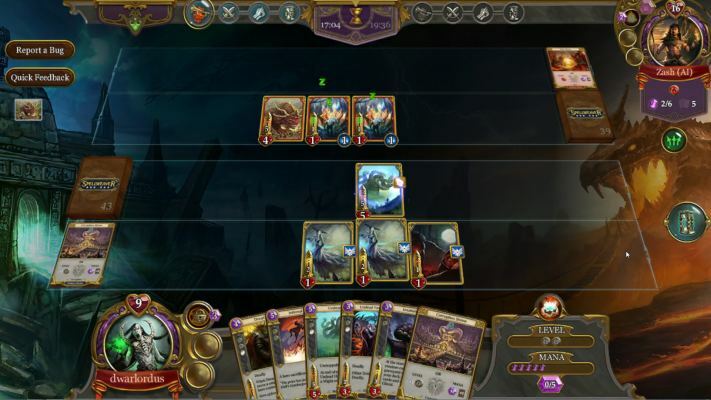 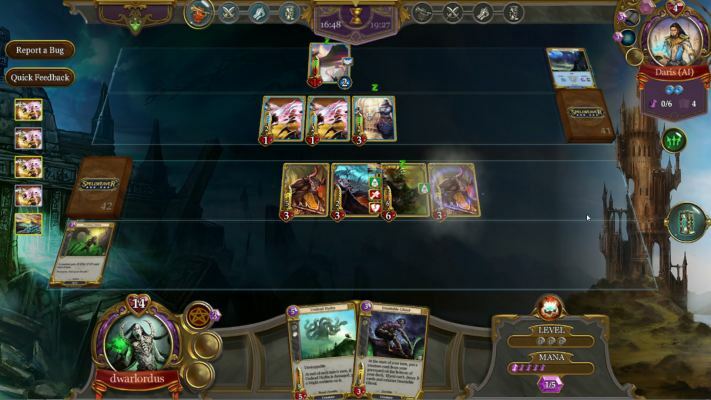 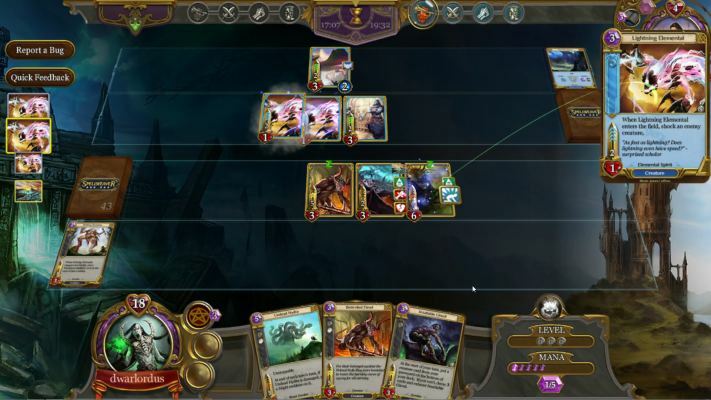 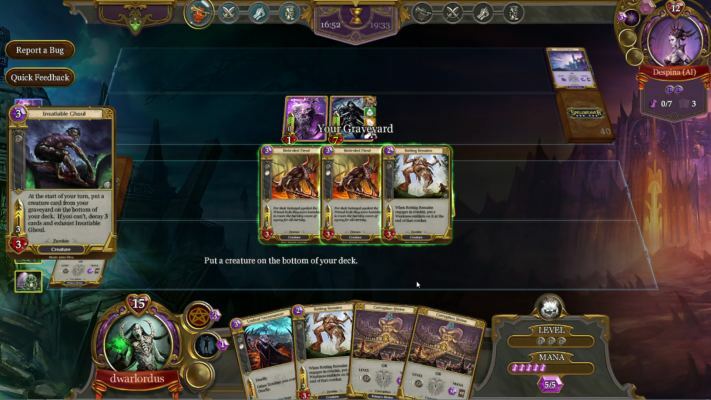 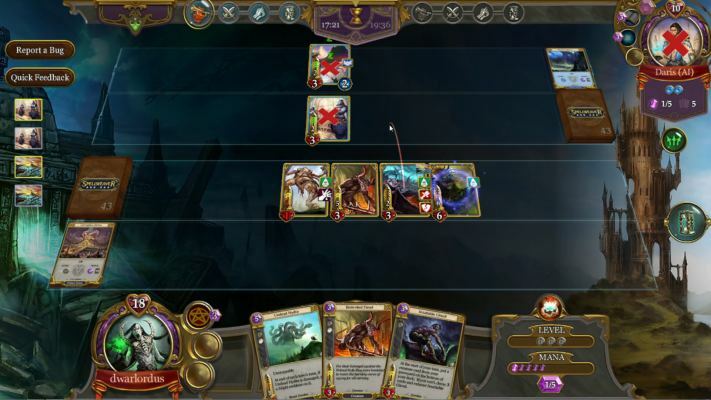 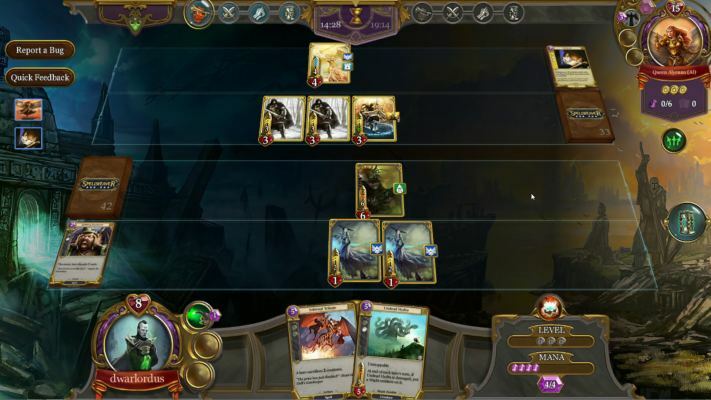 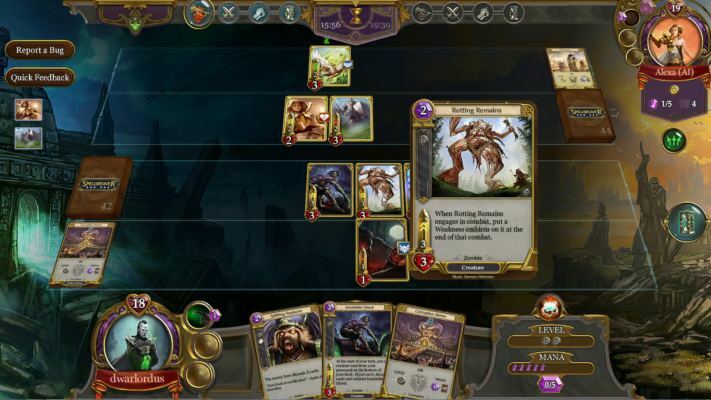 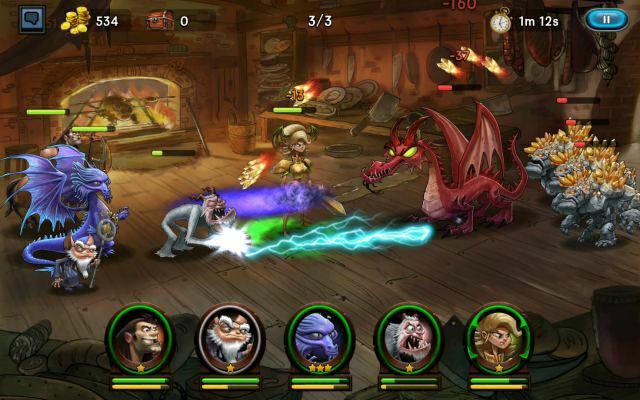 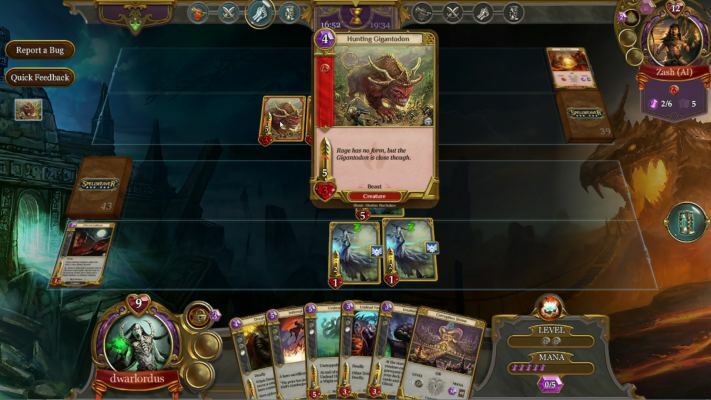 The trading card game features a variety of unique features that set it apart from other card games on the market. 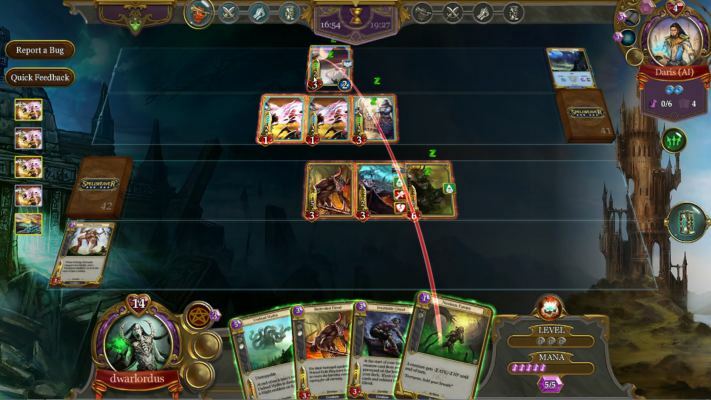 While players of other TCGs will be familiar with the core concepts behind the game, Spellweaver has a number of unique twists. 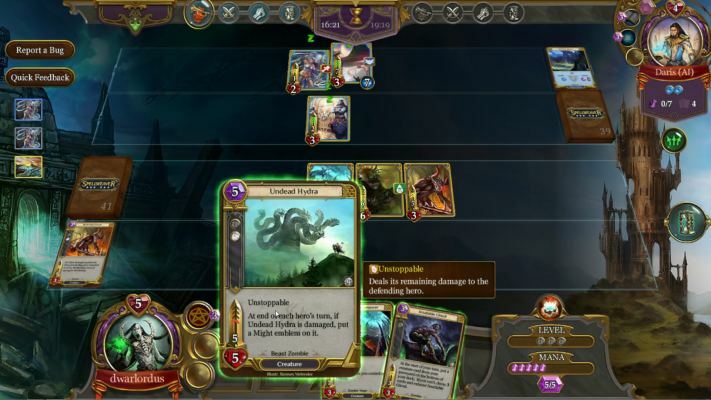 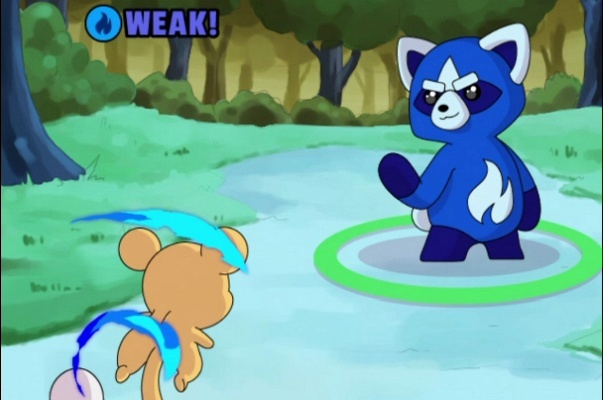 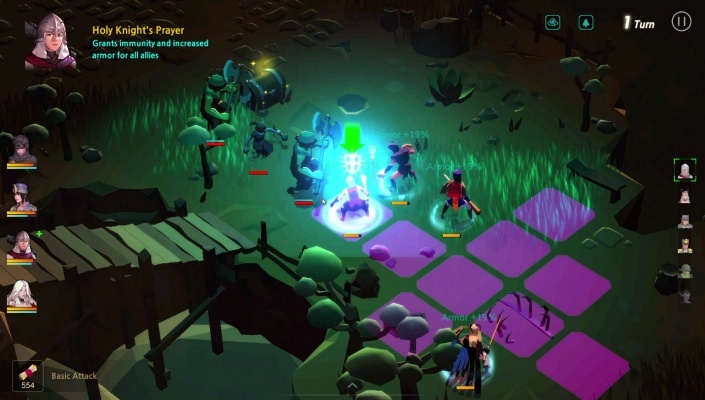 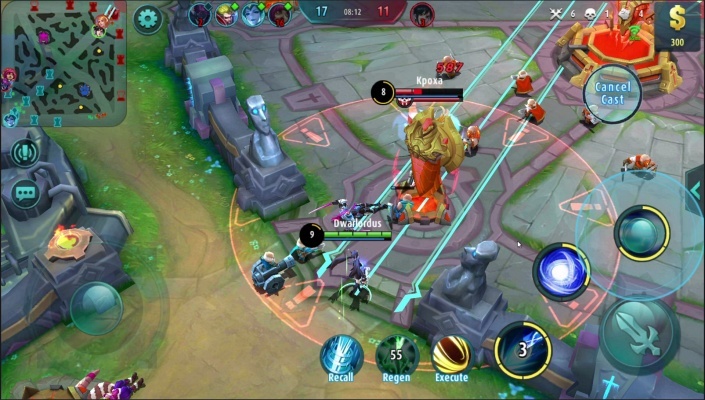 Entirely new concepts include creature speed attribute, and up to three customizable hero abilities, and a method to reduce the odds of having a “land starved” draw. 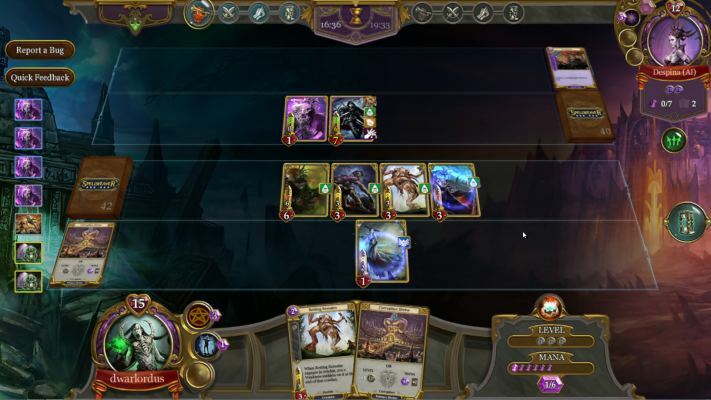 Your spellweaver starts each battle with 1 special ability and can gain up to two additional abilities mid match. 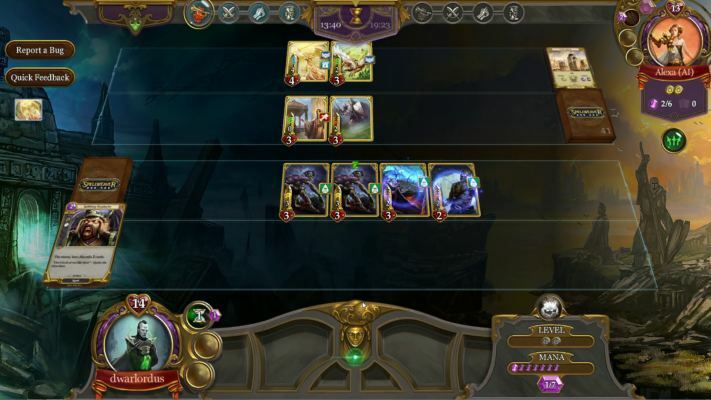 Spellweaver also plans on supporting special Hearthstone style arena modes, a full ranked ladder with event support, and more. 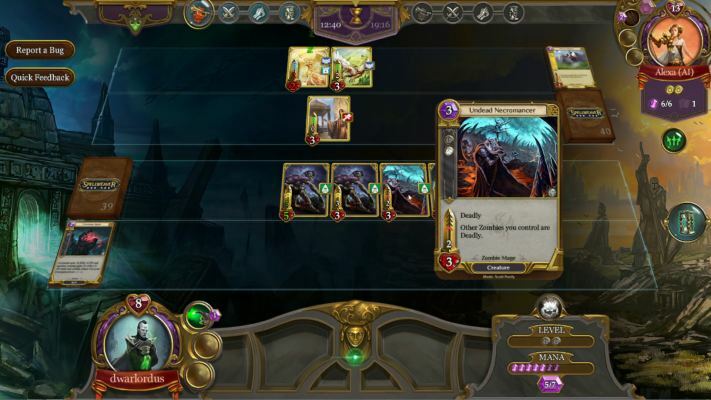 Special shrine cards unlock new abilities for the duration of the entire battle, which can radically alter the flow of the game.